Water then leave to drain. Plants can be planted into pots for growing on or can be directly planted into baskets and containers. Push the compost plug up out of the paper sleeve Make a hole in the compost and set the plant so that the top of the compost plug is level with the compost surface. Carefully water in the plants and grow on in a warm well lit place where the plants can establish. Protect from frost at all times. Water then leave to drain. Plants can be planted into pots or trays for growing on prior to planting out in Baskets, Containers and the Garden. Using a blunt pencil push the compost plugs up out of the plastic tray Make a hole in the compost and set the plant so that the top of the compost plug is level with the compost surface. Protect: Protect plants from frosts and cold weather at all times. Do not place these tender plants outside until all danger of frost has passed. The ideal growing conditions are plenty of natural light and a temperature of 16-18°C. If this is not possible supply the best you can and turn your plants regularly to avoid becoming stretched. Water: All plants will need watering but avoid 'over wet' conditions. Water sufficiently to ensure the compost is thoroughly moist, then do not water again until the surface of the compost has become dry. 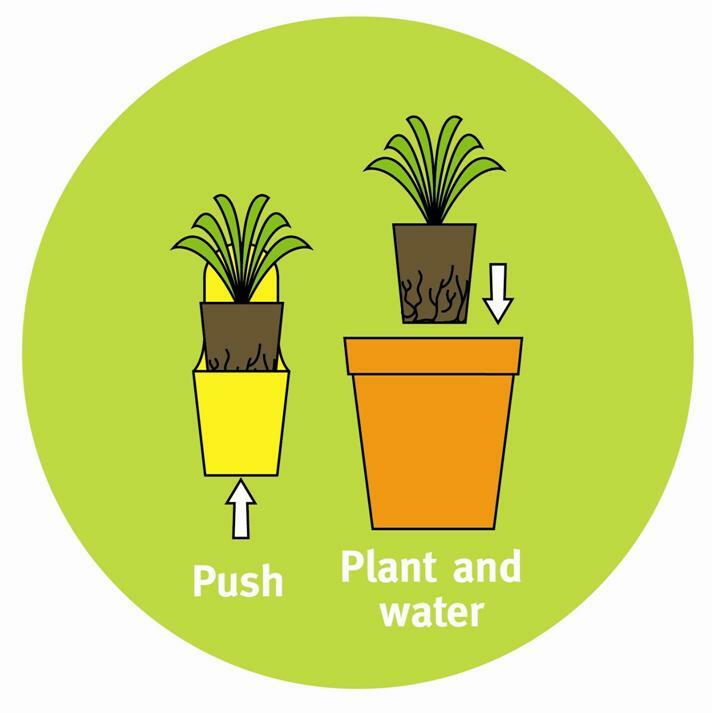 As the plants mature it is advisable to water under the foliage canopy if possible, in this way you will reduce the risk of marking or damaging foliage and flowers. Slow Release Fertilizer - Added to the compost, either incorporating it into the compost or spreading on the surface.Provides a controlled release measure of feed throughout the summer. Liquid Feed - Normally purchased as dry crystals these are dissolved in water and the feed is given as you water. Maintain: Your display will be further enhanced if you take time to check your plants over occasionally. Should you spot any pest be sure to take action quickly using a proprietary treatment. The removal of dead and fading flowers will prolong the flowering display.